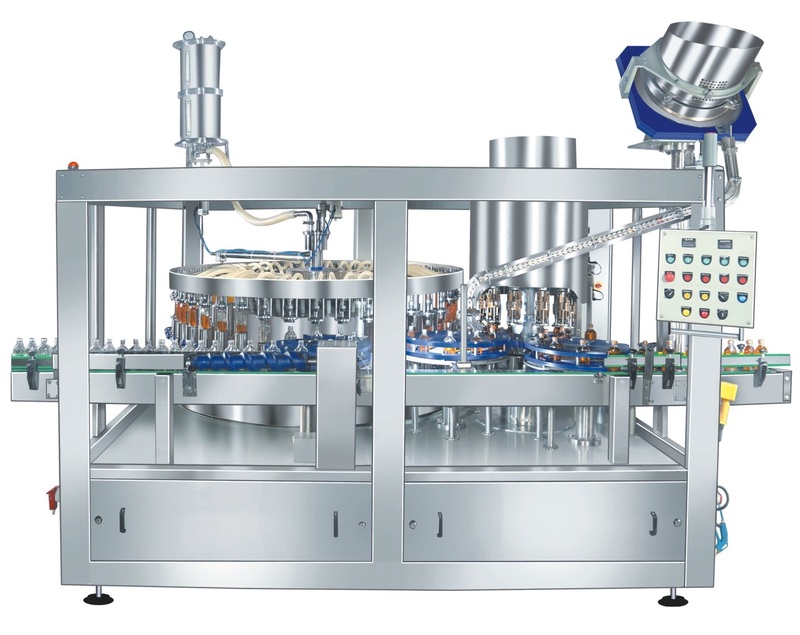 We are counted among the prominent Manufacturers, Suppliers and Exporters of Fully Automatic Gravity Filling Machines from Delhi. 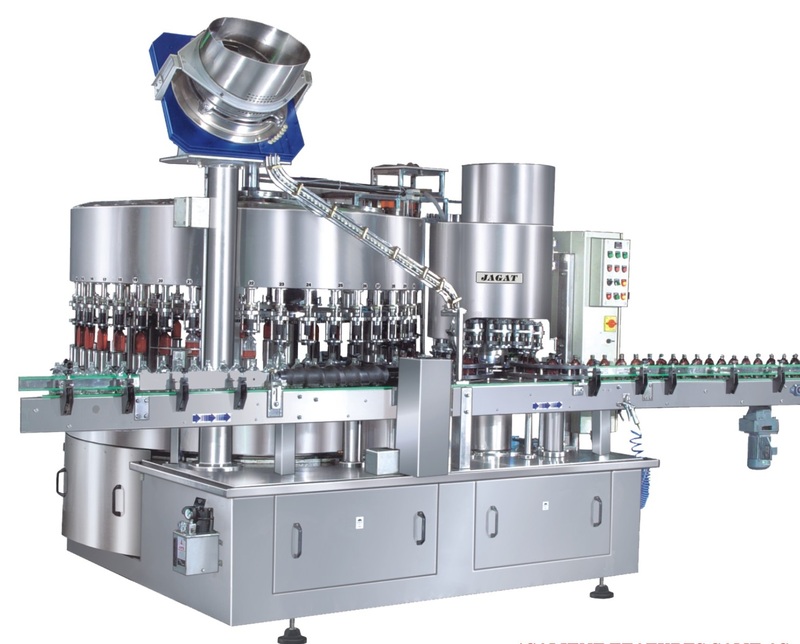 Filling Machines offered by us are ideal for filling non-carbonated and non-viscous liquid in pet bottles e.g. mineral water, juice, milk, liquor, vinegar etc. One can obtain the Machines at nominal rates from us. 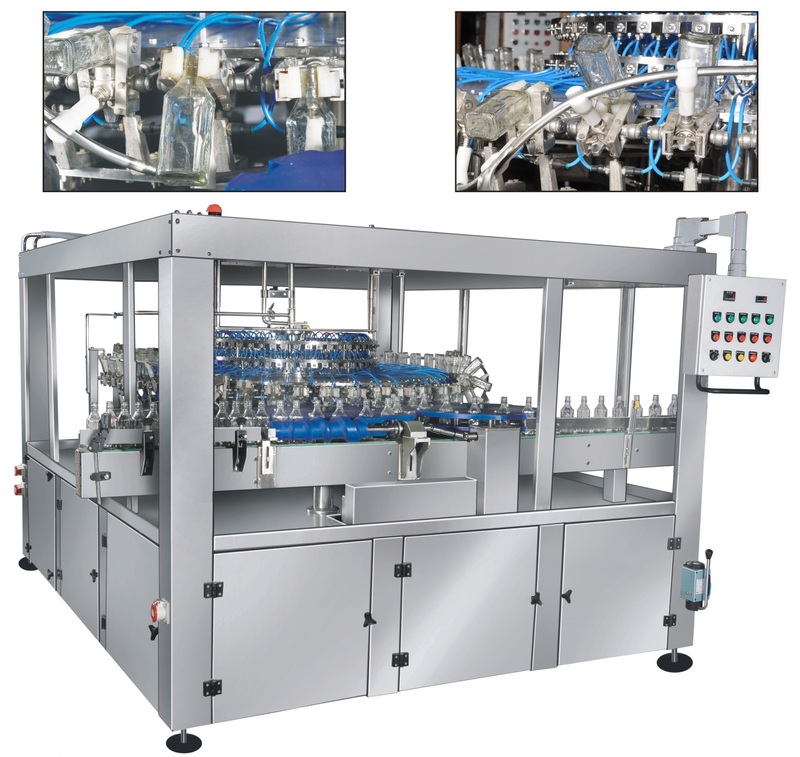 It is a Rotary Liquid Filing Machine where in the bottles are filled by gravity flow through the specially designed nozzles, which are mounted at the bottom of the tank. Since filling nozzles have direct contact with the product tank, heaving no interconnecting PVC tubing which ensures no contamination. These are also Level Filers like Vacuum Filler and maintain same level while filling specific container sizes. 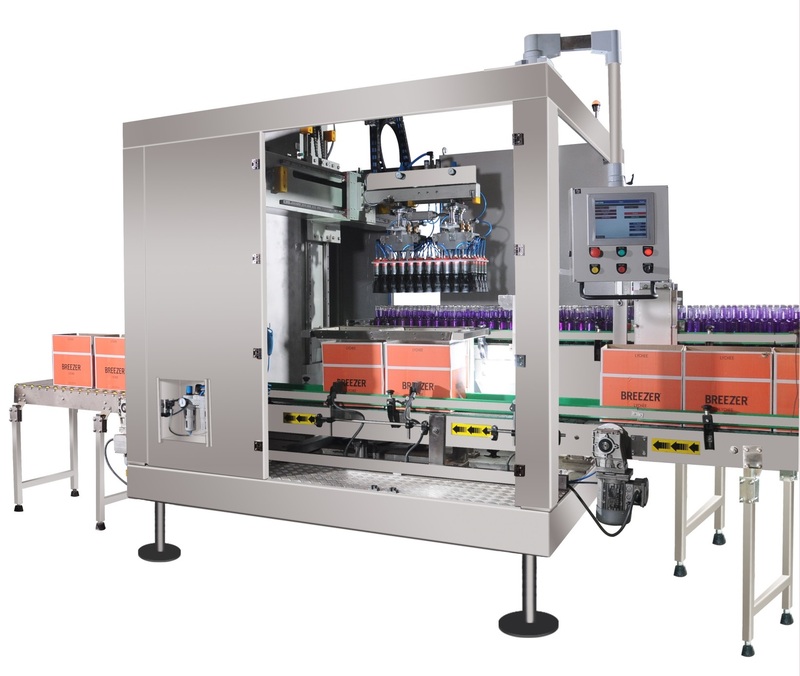 These machines are ideal for filling non-carbonated and non-viscous liquid in pet bottles e.g. Mineral Water, Juice, Milk, Liquor, Vinegar etc. 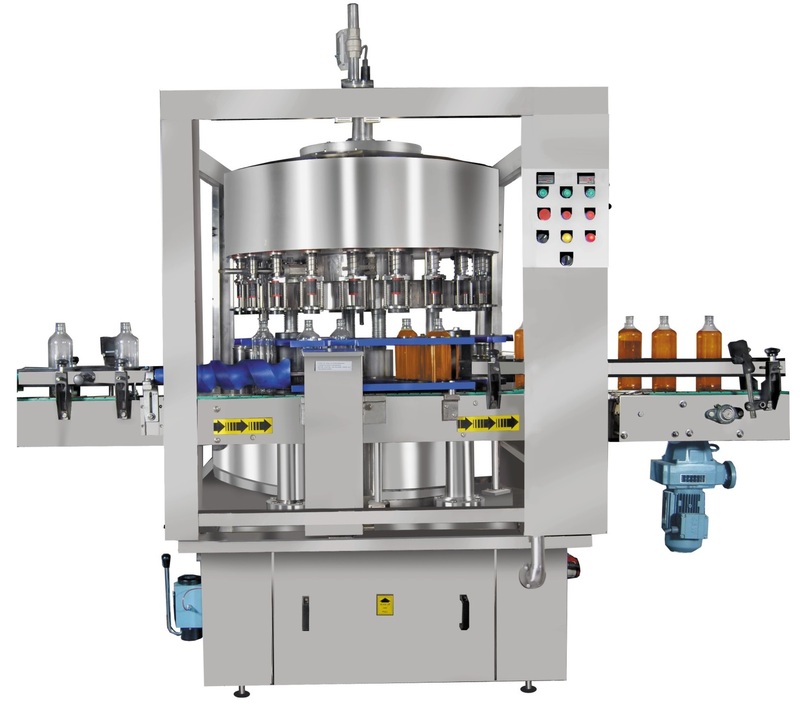 Gravity filler can be opted with provision of partial vacuum for application in glass bottles. Model Dimensions(in mm) Power Requirement Speed on 180 ml. We share glorious credentials in the list of top Manufacturers, Exporters and Suppliers of Filling & Sealing Machine. The manufacturing of our Vacuum Monoblock Filling & Sealing Machine is done using the latest techniques under the keen observation of experts. It is well tested and can be obtained from us at competitive price. 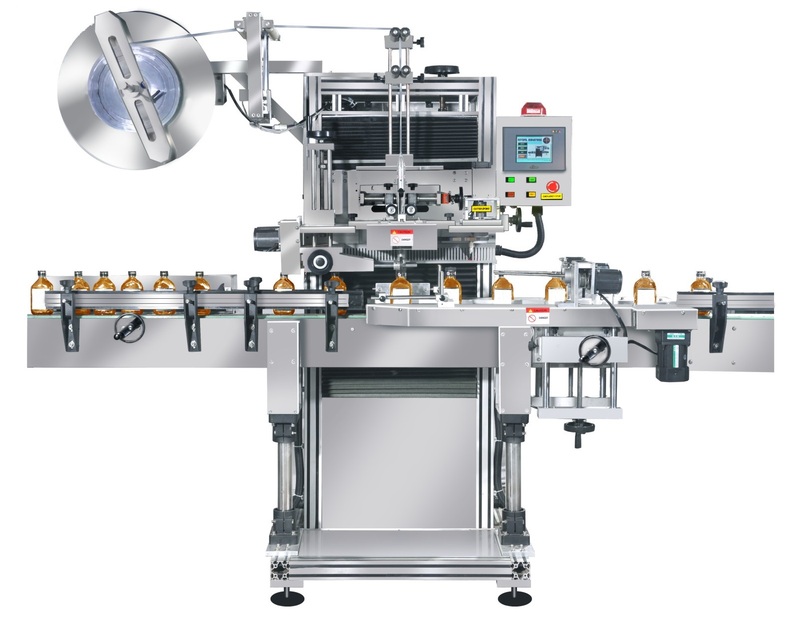 Monoblock is a compact Rotary Machine where in Vacuum Filling and Cap Sealing operations have been integrated on a single base frame. 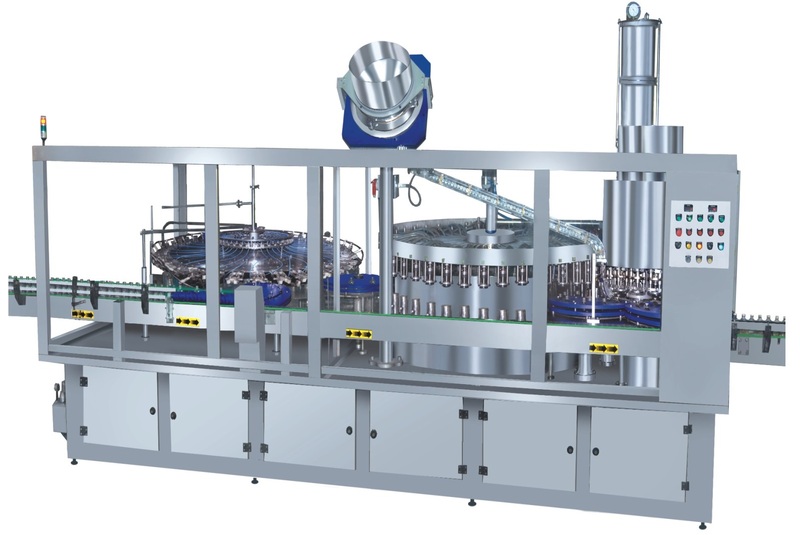 This concept has been innovated in the interest of user mainly of minimum initial investment, manpower and reduce length of filling line without sacrificing output and quality. Like vacuum filler excess liquids are sucked back by vacuum and thereby render same level of filling in all bottles. It is widely used in filling non - Carbonated and non - viscous liquid e.g. Liquors, Medicines, Household liquids etc. 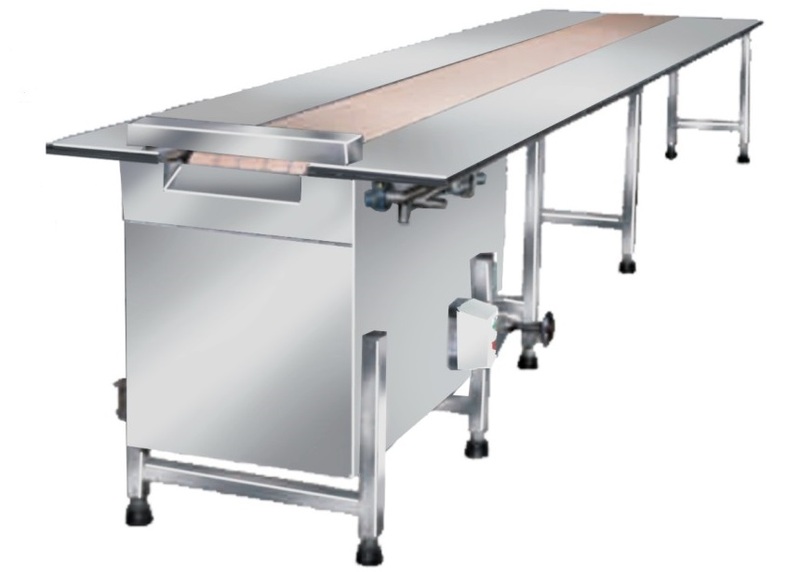 The sealing section is equipped with Automatic Cap Feeder, which eliminates manual handling of caps there by restoring hygiene and ensuring non - stop production. However, type of feeder with depend on size of ROPP Caps e.g. Hopper Feeder or vibratory Feeder. 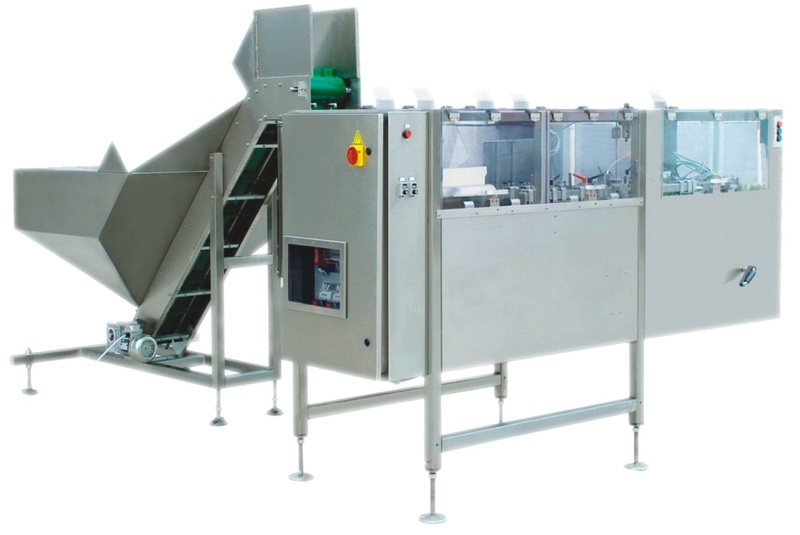 We are reckoned as one of the renowned Manufacturers, Exporters and Suppliers of Filling &amp; Sealing Machine. Manufactured under the strict vigilance of experts, our Gravity Monoblock Filling & Sealing Machine is the perfect option for the buyers. Well tested, it can be obtained from us at the best market price. 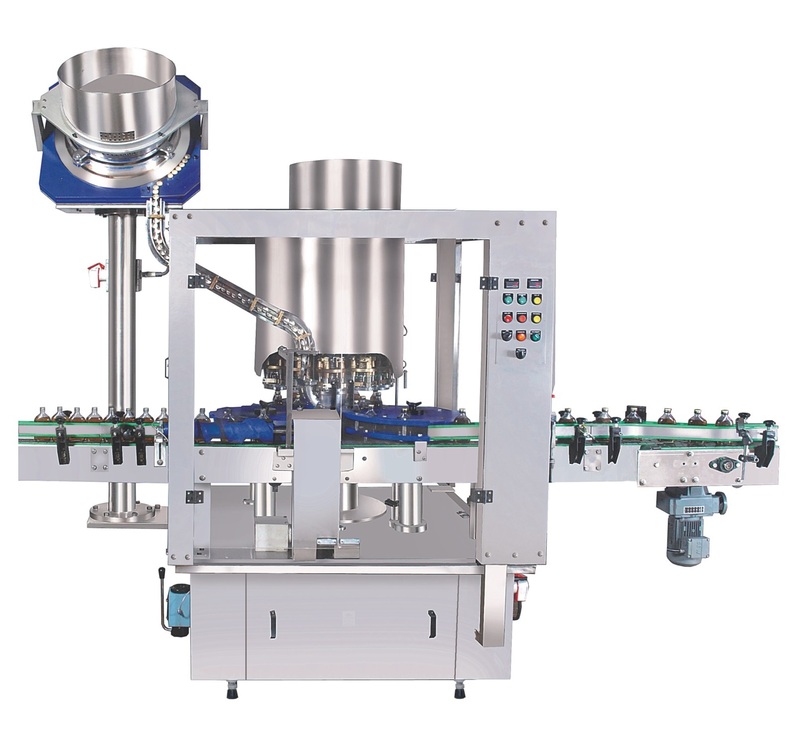 The company has cemented its presence among the successful Manufacturers, Suppliers and Exporters of Gravity Combiblock Rinsing Filling & Sealing Machines from Delhi. 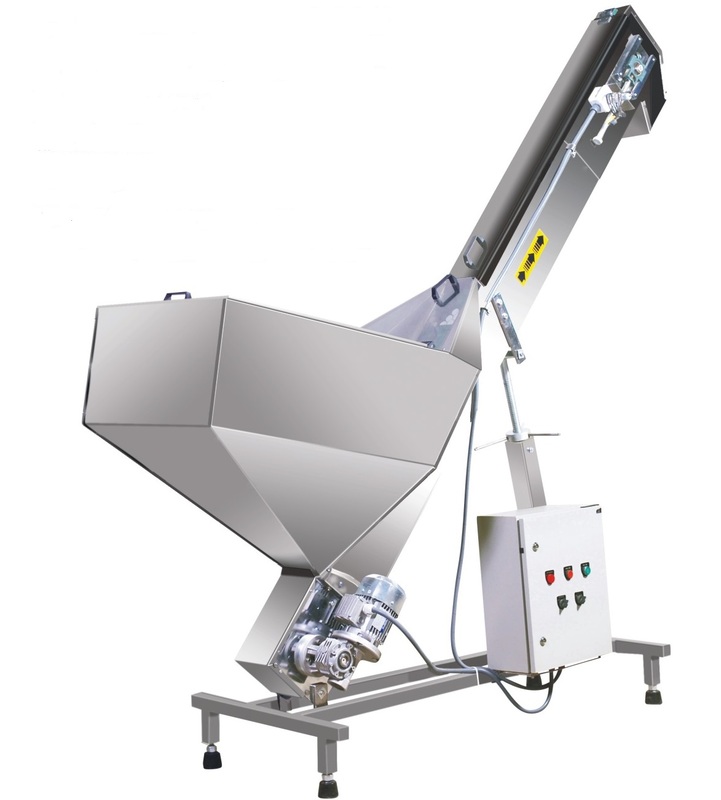 Our Rinsing Filling &amp; Sealing Machines are designed to handle 180 ml. to 1000 ml. Glass / Pet. Round, Flat or Oval bottles and 25/28 mm. ROPP Caps. Combiblock is a compact three-in-one rotary machine where in Rinshing, Filling and Capping operations have been integrated on a single base frame. 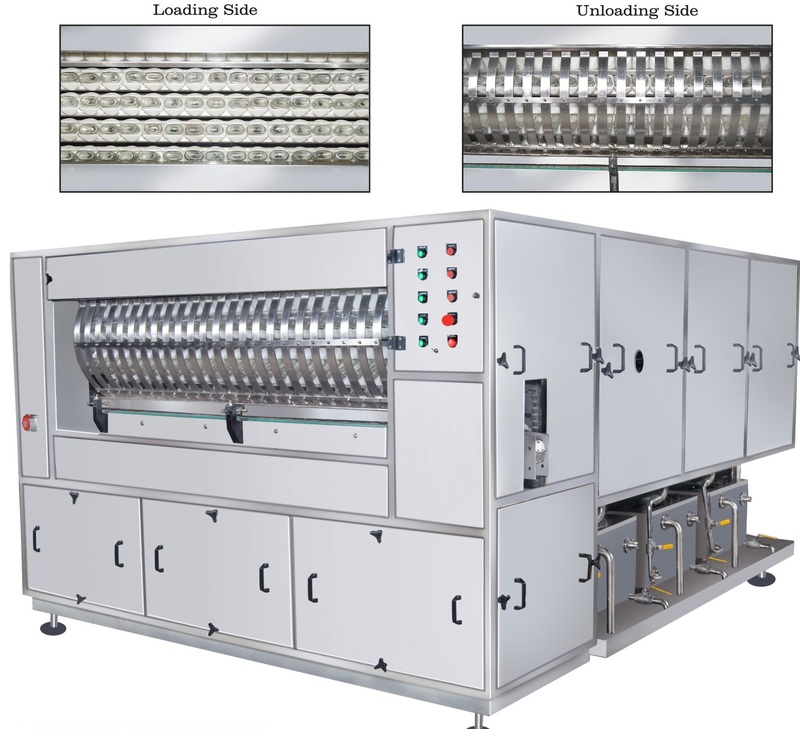 This new concept has been innovated in the interest of users mainly to minimized initial investment, manpower and reduce length of filling line without sacrificing output and quality. 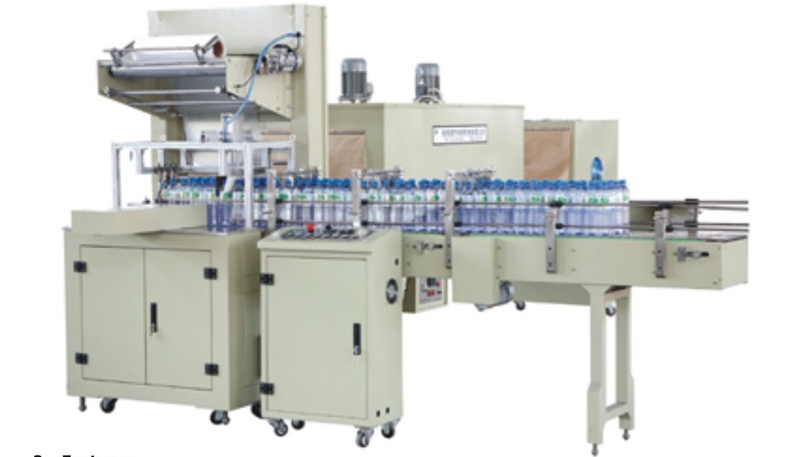 In a Rotary machine bottles are being gripped with specially designed gripping assembles and tilted for subjecting to water or air jet for pre-set period. Immediately after rinsing the bottle are traversed back to their original position and sent to the filling turret for accurate filling with the help of vacuum or by gravity nozzles and finally get sealed in the sealing turret. The models have been suitably designed to handle 180 ml. to 1000 ml. Glass / Pet. Round, Flat or Oval bottles and 25/28 mm. ROPP Caps. Our company is bracketed with world renowned Manufacturers, Exporters & Suppliers of a wide array of Automatic Rotary Labeling Machines. Available in varied specifications, our Automatic Rotary Labeling Machine are high in performance and guarantee optimum functionality. 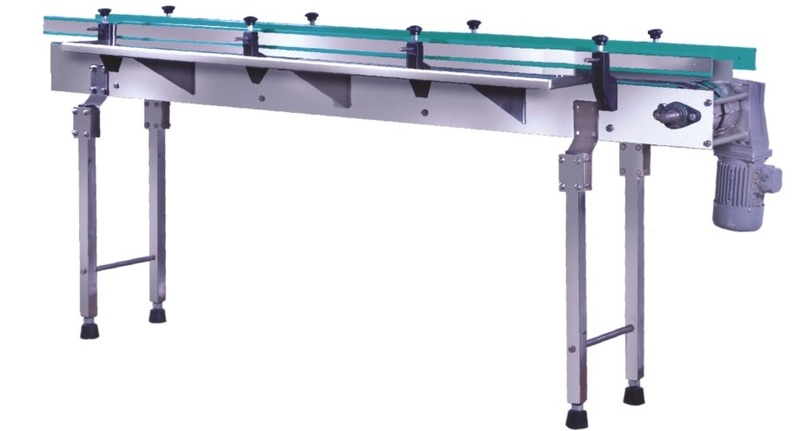 Interested buyers can obtain Automatic Rotary Labeling Machines from us as per requirement at competitive prices. 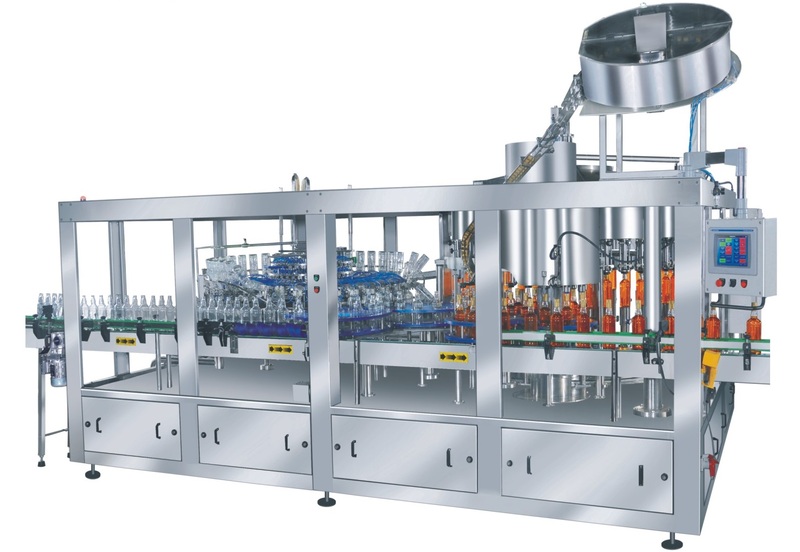 Can handle all type of glass and plastic bottles / Containers for Liquor (Cylindrical, Non-Cylindrical & Odd Shaped) with various applications, i.e., only front label, front &amp; shoulder label, front, shoulder &amp; Back labels. Has provision for applying neck around label. 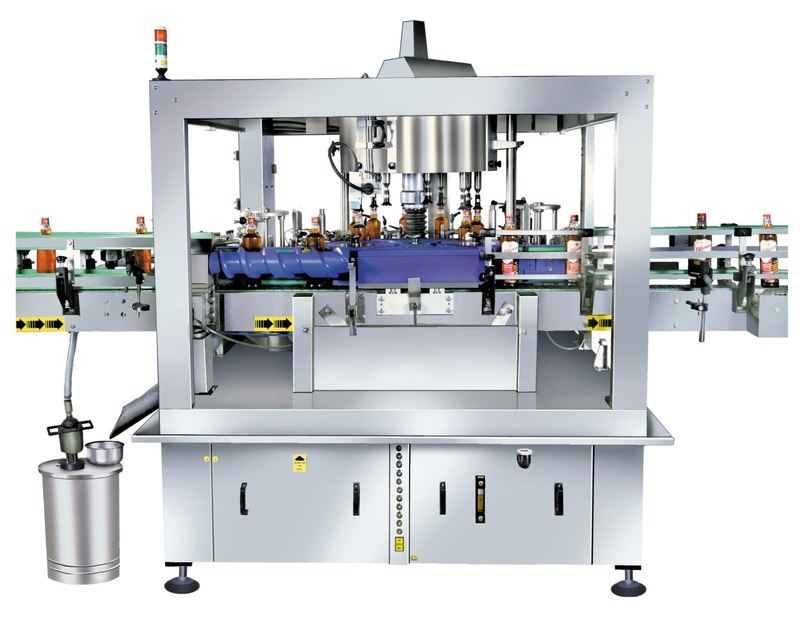 Automatic Linear Labelling Machine (Wet Glue) that we offer is perfect for handing non-cylindrical bottles and containers. 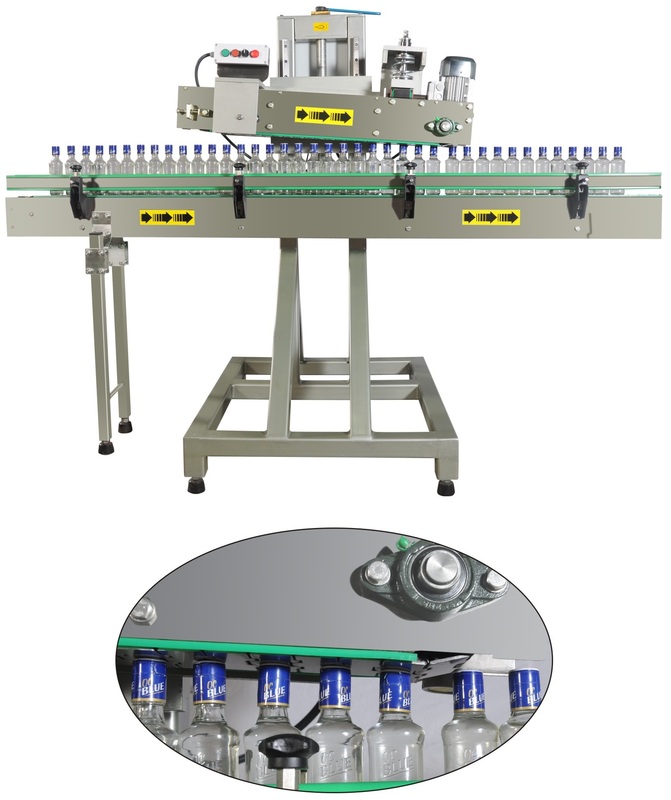 It finds extensive usage in Liquor Industry for applying single label on Elliptical / Square / Rectangular and other similar shaped bottles of any size and height. 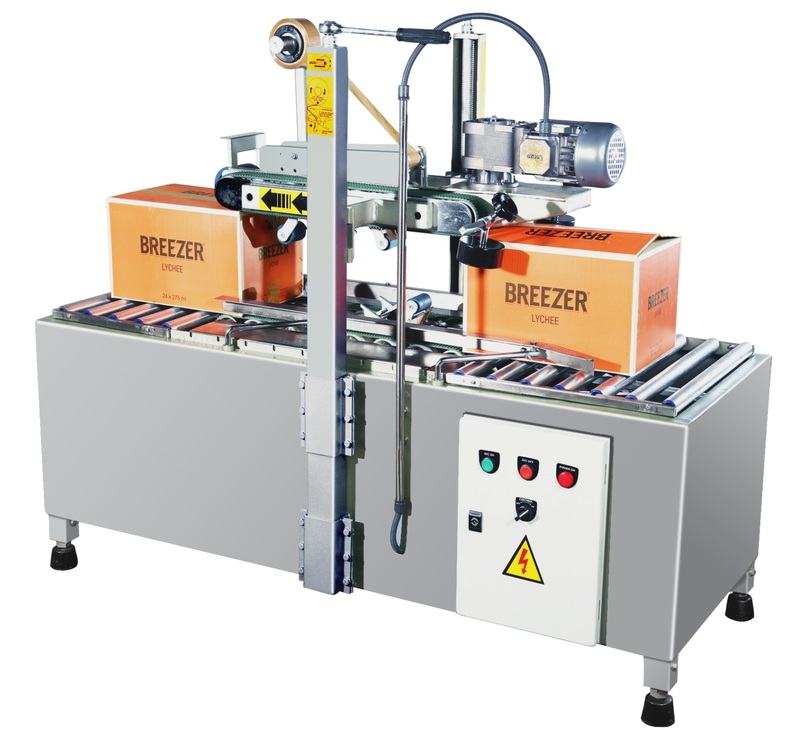 We are named among the renowned Manufacturers, Exporters and Suppliers of Labeling Machine. The Sturdywear resistant Stainless steel Construction of Linearomatic-R ensures quite running and long life. 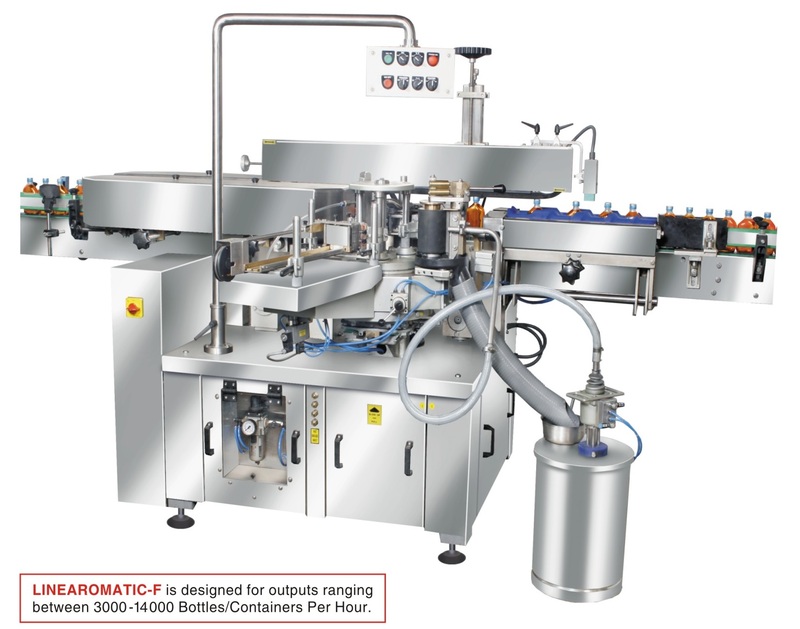 Suitable for different sizes of Cylindrical / Round bottles and labels with extra change parts. Accurate and precise positioning of labels on bottles by better gripping of bottles by infeed worms and also by top gripping belt. Pneumatic Glue Pumps for feeding and recirculation of Glue. Aggregate / Chamber in oil bath, thus, less wear & tear due to permanent lubrication of Gear / Cams and other related parts. Model : 3:4, i.e. 3 Position Label Pallets, 4 Position Gripper Cylinder. Pressing of labeled bottles with imported massage belts with imported foam. Big Label magazine to accommodate more quantity of labels. Pneumatics of Festo / SMC make. Speed Variable with variable speed pulley. 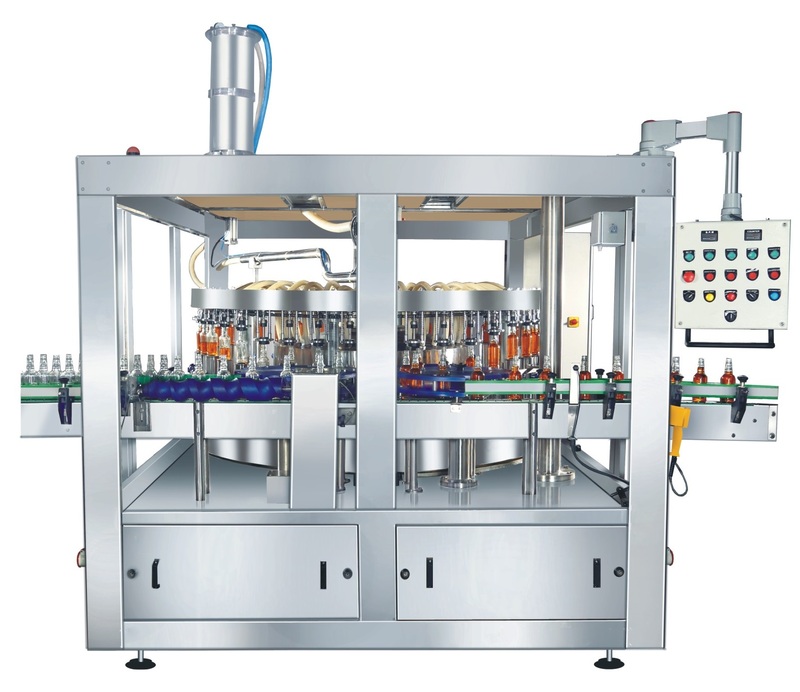 Machine height adjustment to align with other machines of Bottling line by adjustment legs. Sensor at infeed for "No Bottle - Machine Stop"
Sensor at outfeed for: "Bottle Jamming - Machine Stop"
Adjustable machine, which is pre-set as per size of CartonsSeals the carton form both top and bottom by BOPP Tape. We have a strong foothold as Manufacturer, Exporter and Supplier of Online Pressing Machine from Delhi, India. We are backed by a team of skilled and adroit personnel who make use of top quality metal for its fabrication so as to make it in line with the predefined international quality norms. With us, one can feel free to place even the bulk orders of Online Pressing Machine. Rely on us! 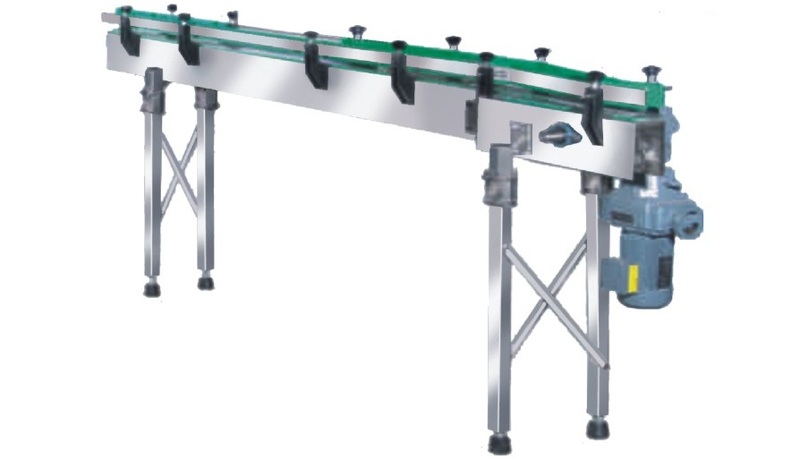 Our company is ranked among well-known Manufacturers, Exporters & Suppliers of a wide range of Automatic Gravity Roller Conveyors. We manufacture them with the help of ultramodern CAD/ CAM technologies. Hence, our entire range is robust, excellently finished, dimensionally accurate and renders long service. 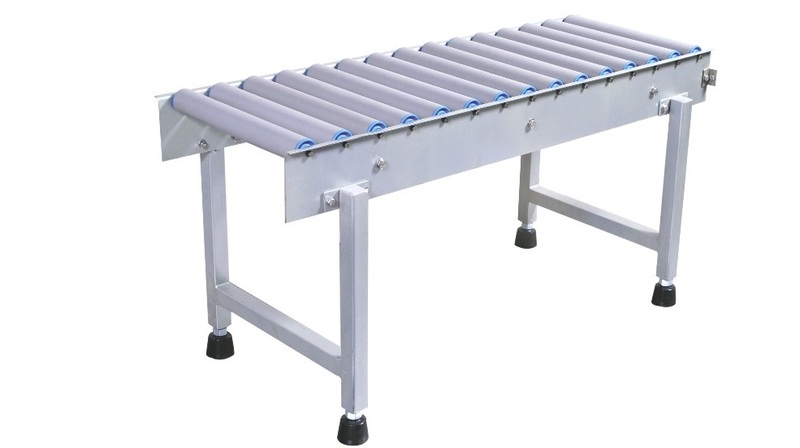 Interested buyers can purchase Automatic Gravity Roller Conveyors from us at competitive prices and we guarantee timely delivery.